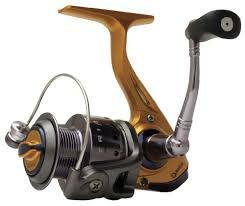 In general, when looking for the right fishing reel those are the things you want to look for. 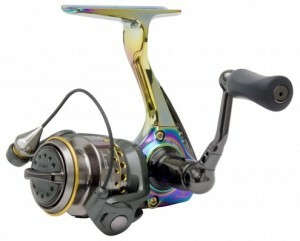 But, what reels are actually the best? 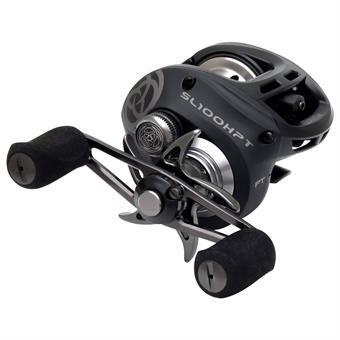 Fishing reels have a wide variety of prices, this does not necessarily mean it’s the best reel – like any products there will always be “over-hyped/over-rated” reels. Here at BestBaitForFishing.com we have provided you with a selection of the best fishing reels in our Bait and Tackle Shop to increase your fishing experience. From time to time we will highlight and review some of the special reels in our shop. The Quantum engineers consulted with their pros (including Kevin Van Dam) and this is the challenge they received back: design the lightest possible fishing gear without any sacrifice in performance. Quantum’s first exoskeletal design is their lightest and strongest reel ever. Why is this important? It’s a difference you’ll feel on the water. You’ll fish stronger, longer and with the sensitivity you need to detect the lightest bites. What is EXOSKELETAL ENGINEERING? – Metal Where it Matters. That’s the thinking behind the exoskeletal hybrid construction. It combines a special, ultra-rigid aluminum alloy in load bearing areas with a lightweight composite that reduces weight in non-critical locations by 50-Percent. This allowed them to build the lightest possible frame with no sacrifice in strength. 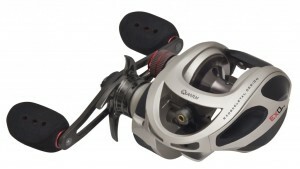 The Exo PT spinning reel rotor uses a revolutionary new material from Quantum called C4LF. Machined Aluminum Frame, Aluminum Side Covers, Aluminum Main Gear, and Aluminum Front Support It’s an exclusive polymer infused with long strands of carbon fiber. 11 PT Bearings. Key areas like gear supports, bearings, and the spinning reel stem were analyzed to assure no flex under maximum load conditions. Lightweight Carbon Fiber Handle, with a claim that it can support over 4000 times its weight. All Exo PT reels feature an aluminum drive gear that is ported to remove excess weight. Infinite ACS 3 Cast Control It offers a wide range of centrifugal brake settings that can be fine-tuned with turn of a dial. Layered PT Carbon Ceramic Drag System The carbon disks provide a friction surface that delivers high drag lockdown while maintaining smoothness. The ceramic disks have low start-up inertia and dissipate heat quickly on extended runs. Many more great reels to check out in our BestBaitforFishing Bait and Tackle Shop.